So what do the professionals turn to when seeking the back to new look on their plastic parts? For many the product of choice is Wurth Plastic Dye Plast-PT. When it comes to your cars' looks there is nothing worse than plastic trim parts that have faded to grey or in some cases near to white. So what do the professionals turn to when seeking the back to new look on their plastic parts? 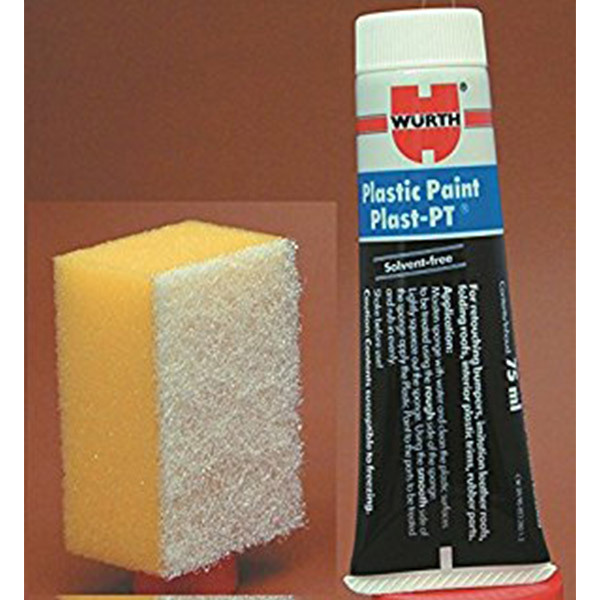 For many the product of choice is Wurth Plastic Dye Plast-PT. Visual improvement of all plastic parts of the car. ▶ Restores faded plastic to original condition. ▶ Can be applied in direct sunlight. ▶ Plastic Dye is humidity sensitive during application. Therefore, ensure part to be treated is dry before application and remains dry until dye is cured. ▶ Bumpers, synthetic leather roofs, folding roofs (including cloth), interior plastic panels, rubber parts, water pipes, foot board strips etc. ▶ Wet sponge with water and clean plastic parts with the rough side of the sponge. ▶ Lightly squeeze the sponge to eliminate most of the water, put plastic dye on the smooth side of sponge and apply equally on the plastic part. 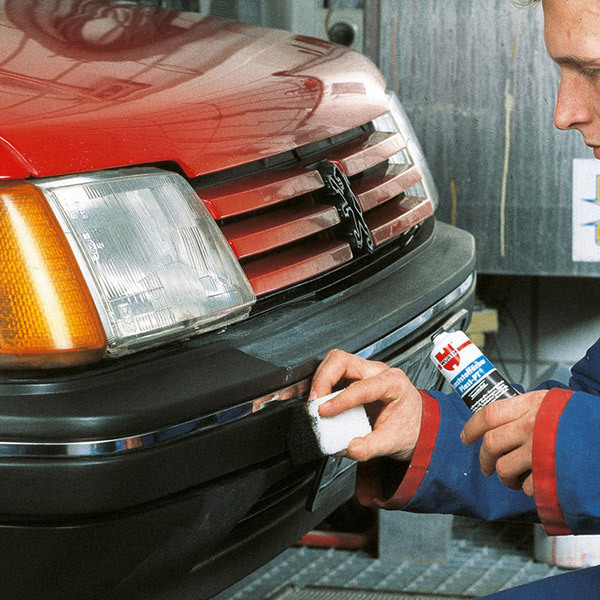 ▶ Remove colour from trims or lacquered surfaces immediately. ▶ Once dried excess plastic dye can be dissolved by means of moist plastic dye.